Specialized 72 Degrees proudly serves the communities of Fort Collins, Loveland, Windsor, Greeley and the North Front Range. Living in an area, such as Fort Collins or Loveland, requires having a quality heating system and air conditioner to keep you comfortable in the cold winter and hot summer months. However, sometimes these systems don’t work as well as they should. Whether you are looking for a new system or repair of your old system, our heating system contractors at Specialized 72 Degrees are here to help you get the comfort you need in your home. During the winter months, it can be dangerous to you and your home to go without heat for too long. When your system is acting up, our trained HVAC specialists can provide the heating repair and furnace repair you need to keep your home warm and comfortable. Whether you choose to have your heating system checked and repaired at the end of the season or the beginning, you can feel confident that your system will work as efficiently as possible when you need it the most. Our trained specialists can help you with all aspects of AC repair, from inspection to repair, so you don’t have to go for too long without your air conditioning. When you call us, we will send someone out to look it over and determine what the problem is. Once we know what is causing the problem, we can make the necessary repair. If your air conditioner is beyond repair due to age or other factors, we can help you get the AC replacement you need quickly. As a Green Screened heating and air conditioning contractor, we are committed to help you live a more environmentally-conscious life. Ask about Home Energy Conservation Evaluations. Specialized 72 Degrees has been accredited by the Better Business Bureau as a business in good standing. NATE certified technicians have proven their knowledge in the HVAC industry by passing specialized NATE certification tests. Take advantage or our Seasonal Tune Up Special. For only $29 our professional technicians will come to your house and perform an 82 point inspection. 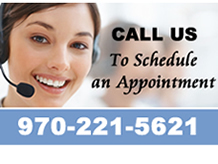 Give us a call today at (970) 221-5621 to schedule your Spring Tune Up!